Oleum Terebinthinae Americanum. - Amerikanisches Terpentinol. - Essence de Terebenthine Americaine. Origin. 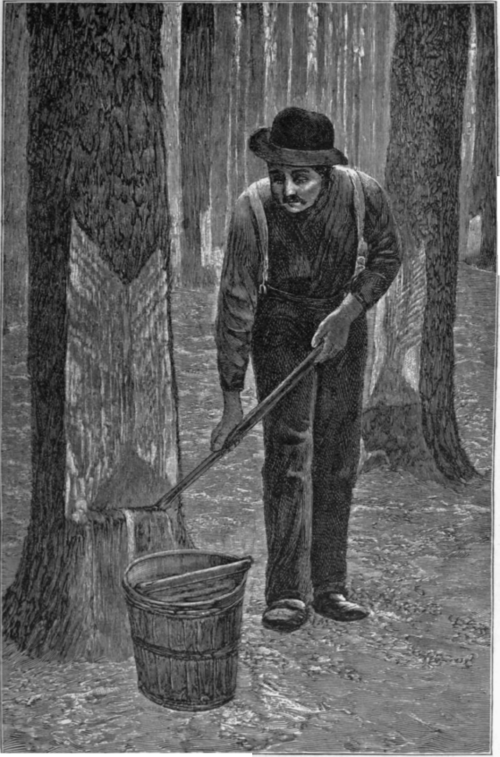 The turpentine forests of the southern states consist principally of three species of Pinus which are used in the production of turpentine, viz. Pinus palustris, Mill. (Pinus australis, Mchx. ), the longleaf, long-leaved, or southern pitch pine, which is by far the most important American pine for the production of turpentine; the Pinus heterophylla, (Ell.) Sudw. (Pinus cubensis, Grisebach; P. Teeda var. heterophylla, Ell.) or Cuban pine, swamp pine, or slash pine, and the Pinus echinata, Mill. (P. mitis, Mchx. ), or short-leaved yellow pine. Because of the exhaustion of the pine forests along the coastlands of Virginia, North and South Carolina, the turpentine industry has almost completely disappeared from these regions so that they scarcely come into consideration as areas of production. The center of production has moved southward toward the mouth of the Mississippi. The principal producing states are Georgia, Florida and Alabama, followed by Mississippi and Louisiana. In Texas the owners of pine forests maintain a conservative attitude toward tapping because they fear a deterioration of the tree trunks as lumber2). Production. At the beginning of the present century the unsparing exhaustion of the turpentine forests began to make itself felt and caused apprehension. It became apparent that the method of boxing then in use would ruin the forests in the not distant future, hence it became necessary to look about for a remedy. A result of the boxing method, to be described later, was that after 5 to 6 years of tapping the trees yielded no more turpentine and died. When left to themselves, they were either blown down by the wind or destroyed by fire. 1) Chem. Industrie 31 (1908), 179. 2) G. B. Sudworth, Oil, Paint and Drug Reporter 75 (1909), No. 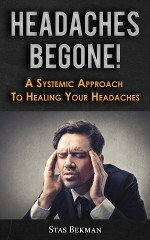 11, p. 10. Fig. 4. Boxing of trunks and removing of bark (Box-System). Fig. 5. Removal of oleoresin from boxes (Box-System). These circumstances induced Dr. Charles Herty1) to experiment with the French system of turpentining, which admits of greater protection to the tree-). The results were very satisfactory, more particularly after a few necessary improvements had been introduced. It is likely, therefore, that in the near future the change to the "cup and gutter system" will become quite general. According to G. B. Sudworth3), of the Bureau of Forestry of the U. S. Department of Agriculture, 1/8 of the orchards employed the new system in 1909, 7/8 still using the old system. The operations in the turpentine farms or orchards, which are mostly carried out by negroes, begin with the first dry days of spring, as a rule in April. With the aid of a heavy, sharp axe, a "box" is cut transversely across and into the trunk. The length of the box is about 17 inches, its greatest depth 6 to 7 inches, so that it has a capacity for at least a liter of turpentine. If the diameter of the trunk is great, a second box of equal size is hewn into the tree on the other side. As soon as the sap flows in spring, a beginning is made with the wounding of the tree. On either side of the box a strip of bark two inches wide and about 8 inches high is removed ("cornering"). The bark of the area above the box thus indicated is then removed to the sap wood by means of an axe (hacking, chipping). According to the temperature, the exudation of oleoresin is stronger or weaker, the turpentine flowing into the reservoir beneath. The wounded surface is enlarged every week or two in accordance with the "bleeding", i. e. with the intensity of the formation and flow of the sap which, as stated, varies with the temperature of the air. The wound is increased by exposing more sap wood by removing additional bark. (fig. 4.) This operation ("chipping") is continued to the end of October or as long as warm weather lasts. 1) A new method of turpentine orcharding. Washington 1903. 2) At a much earlier date a method was patented in the U. S. by Schuler, which, like the French system, utilizes earthenware pots for the collection of turpentine. Ch. 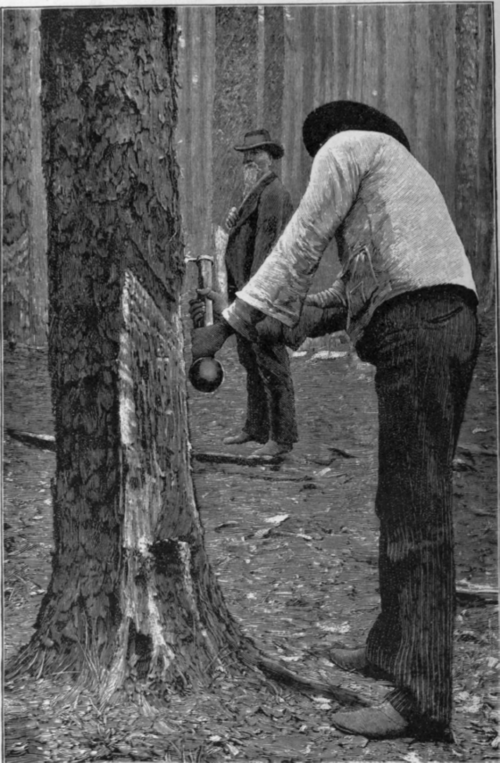 Mohr, The timber pines of the U. S. Washington 1897, p. 71. In the beginning and so long as warm weather continues, the boxes fill every 2 to 4 weeks when the contents are removed to wooden pails by means of a flat trowel (fig. 5), whence the oleoresin is transferred to barrels. With the advent of the cooler season, the hardened oleoresin adhering to box and wound ("scrape") is removed. The wound is either allowed to heal, i'. e. to cover with bark, or is worked anew the next spring. In the former instance, the tree is bled at a new place in the second or third season. The average "turpentine farm" is organized in the following manner: The copper still has a capacity of about 800 gallons1) or 20 bbls. of turpentine. This requires an area of 4000 acres (= 1618 hectares) of forest in good condition. This area is sub-divided into 20 sections of about 10000 boxes each. This represents about 4000 to 5000 trees covering an area of about 200 acres, for, according to the size of the tree, each trunk is provided with more than one box: occasionally three and in exhaustive treatment even with four. In rational operation, the 10000 boxes yield each time they are emptied 40 to 50 bbls. of turpentine of 280 lbs. each. During the first year of operation and before the capacity of the tree is exhausted by excessive bleeding, the dip resin of such a turpentine farm amounts to 270 bbls. of 280 lbs. each and about 70 bbls. of scrape collected at the close of the campaign. It is figured that upon distillation each barrel of dip resin will yield 7 gallons and each barrel of scrape 3 gallons of turpentine oil. The total annual output, therefore, amounts to about 2200 gals, or 50 bbls. of turpentine oil and 260 bbls. colophony.